I've been growing methi in my garden and as the summer is ending I decided to harvest some leaves. Yesterday we had a very cold spell here in Colorado and when I went home from work I wanted to have something hot with my coffee. Bajji or vada were the two things that came to my mind and decided to go with masala vada. I tried a variation by adding methi leaves to the vada and it came out pretty well. Grind the soaked channa dal along with cinnamon, cloves, garlic, red chillies, saunf and salt to a thick coarse paste. Add very little water while grinding as this will make the vada's soak less oil. 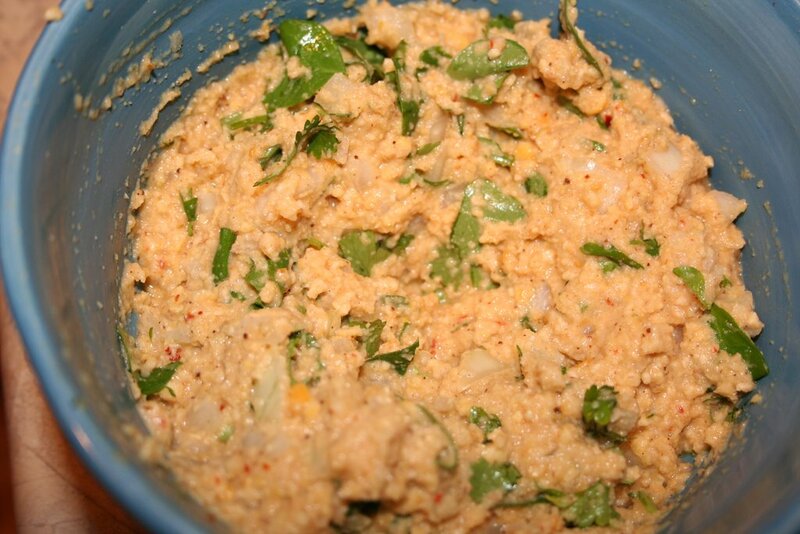 After grinding add chopped onion, coriander leaves, curry leaves and methi leaves and mix well. Heat enough oil in a kadai (wok) for deep frying. Take a small lemon sized ball in your palm and pat it flat and drop it into the hot oil. Remove the vada's after they turn golden brown. 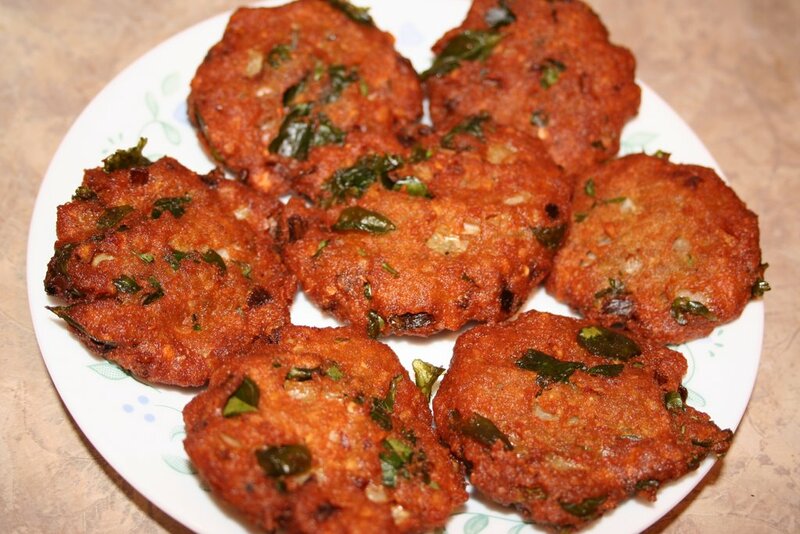 Serve these with chutney of your choice. The also taste good with ketchup. fantastic, loved ur recipes with pic's ! ruumbaa thanks, keep up ur good work. Vada colour looks so good. Thanks for sharing.